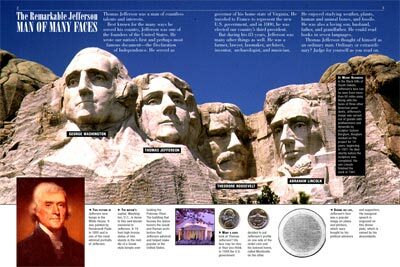 Nicknamed “The Sage of Monticello,” Thomas Jefferson was not only a wise and successful leader, he was also a man of numerous talents: lawyer, farmer, architect, inventor, musician – and most notably, writer of the Declaration of Independence. 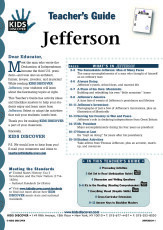 In this issue, kids will uncover Thomas Jefferson’s many achievements and take a look at some of the contributions he made to early America. 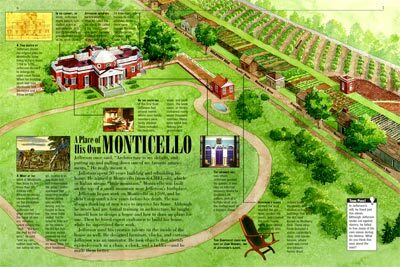 They’ll read about his childhood – he was a boy of unusual curiosity and intelligence – and his college career, and take a tour of Monticello, his beloved home that he never stopped building and rebuilding during the 50 years he lived there. 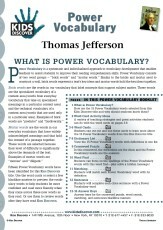 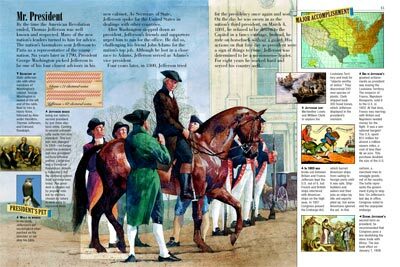 The America of Thomas Jefferson, for kids studying the Revolutionary Era, is shown to be one of great change and discovery. 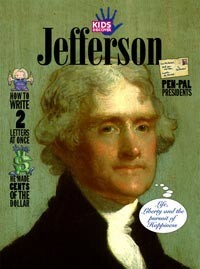 The cotton gin, the smallpox vaccine, Lewis and Clark’s expedition – these were all hallmarks of the period and aptly captured the young country’s spirit of adventure and invention, which Jefferson embodied too: as a representative to France, Secretary of State under Washington, Vice President under Adams, and finally, as our third president. 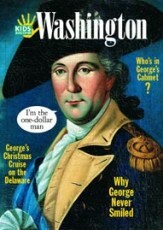 During his eight years in the Oval Office, he successfully negotiated the Louisiana Purchase and abolished the slave trade with Africa. 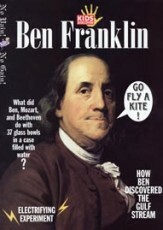 Even after his retirement, he “kept on doing,” as he liked to say: helping to found the University of Virginia. 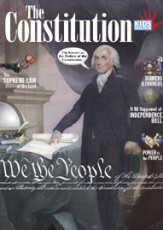 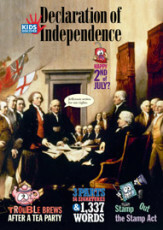 With its emphasis on the human side of Thomas Jefferson – for kids who like reading about the presidents – this issue is sure to be a favorite.